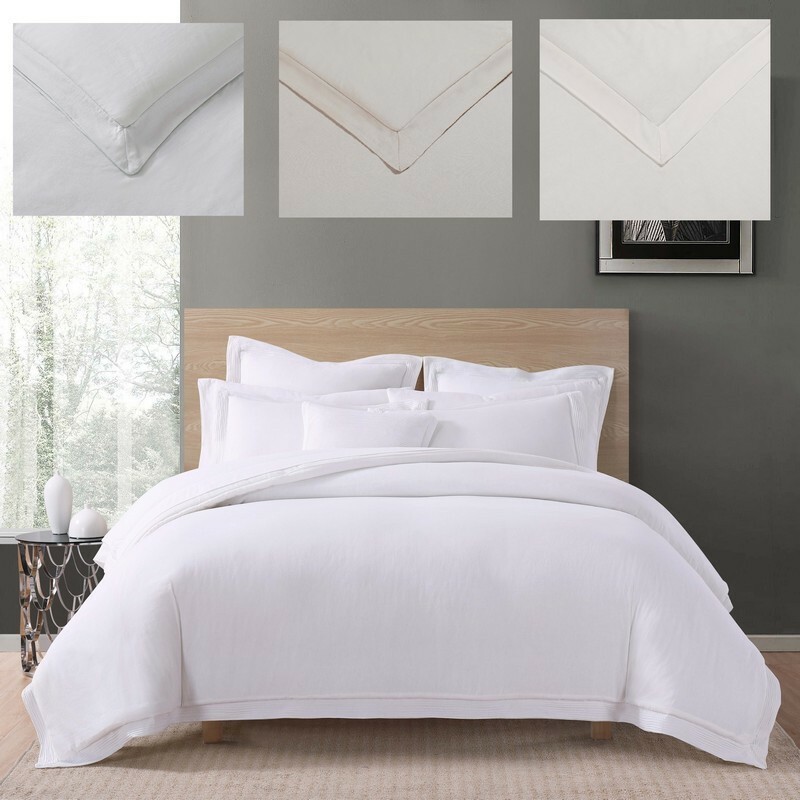 These duvet and sham sets come in a variety of solid colors in a cotton and linen blend. Indulge yourself with this cotton linen blended bedding collection. Linen provides superior air flow and heat conduction properties to keep you comfortable all year. Blended with cotton, the fabric provides a smooth hand of cotton and the comfort of linen. These duvet and sham sets come in a variety of solid colors and have accessories that are sold separately. These items can be machine washed, but special care must be taken to use properly sized equipment to handle these oversized items.